Welcome back to Monday Motivation! 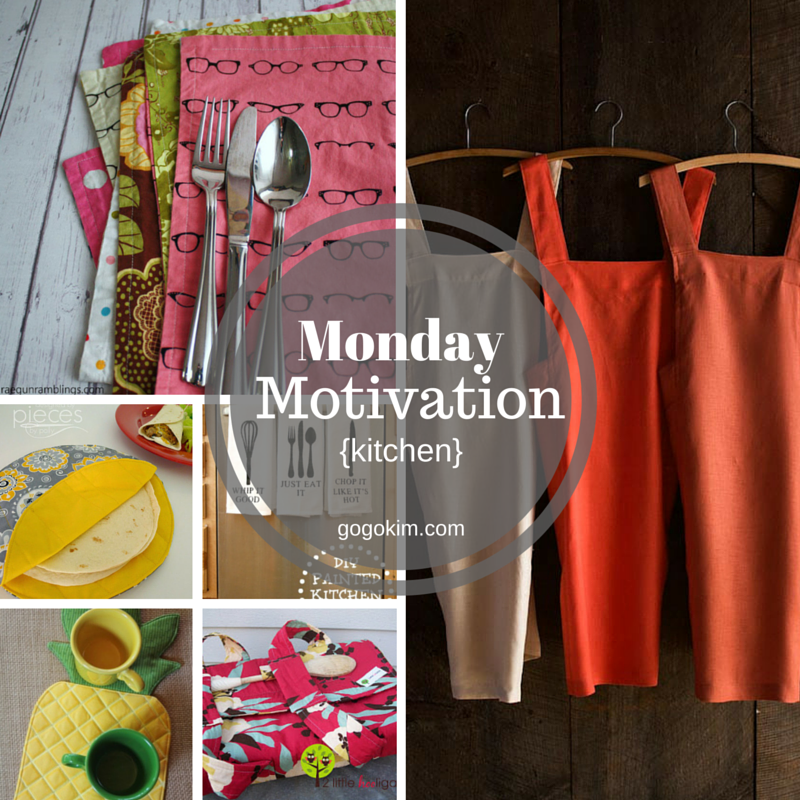 When I am not sewing, I am in the kitchen. I love to cook ( not so crazy about the cleaning). I like my kitchen to have a bright and fun vibe to keep me motivated to get through the dishes in the sink. 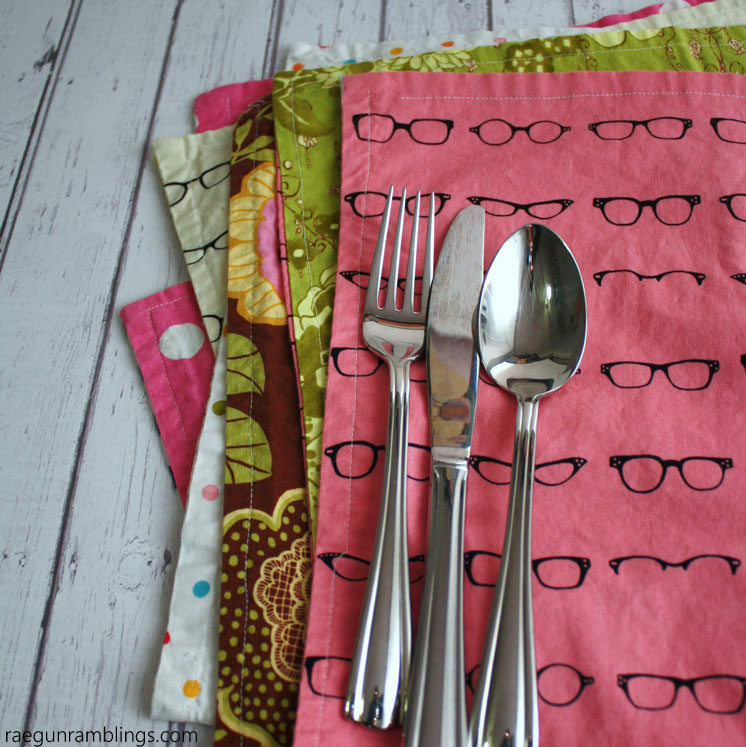 Let's sew some kitchen items with free patterns and tutorials from top designers and bloggers! These Double Sided Placemats by Rae Gun Ramblings are awesome for two reasons. First, they are easy to make! Second, KIDS can make them! Great way to get those Summer boredom blues under control! Purl Soho's free tutorial for this Linen Cross Back Apron is stunning! The most exciting part...POCKETS! 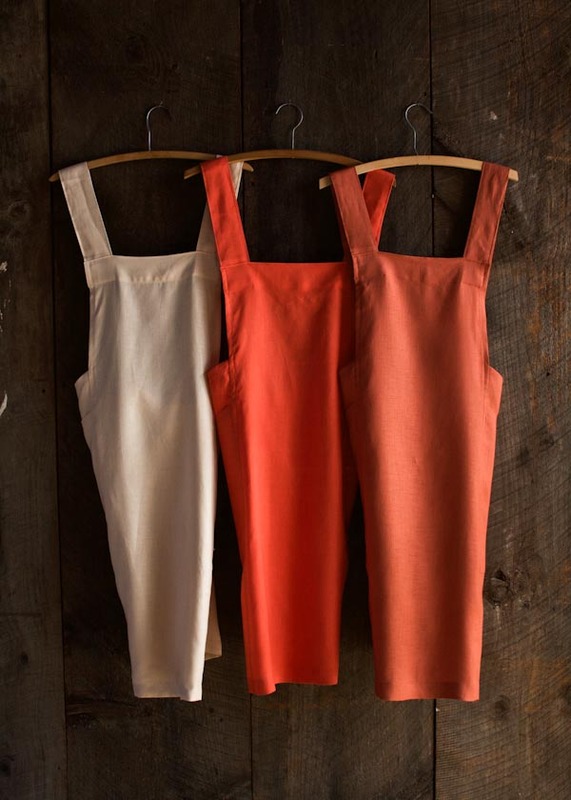 I can see these being useful in the kitchen but also for covering clothes when dying fabrics! 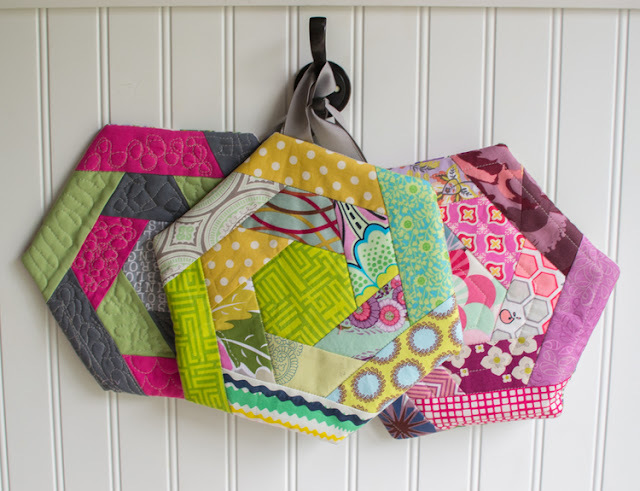 Log Cabin Hexi Potholders are perfect for scrap busting! Sew Can She has this easy tutorial for you to make these adorable potholders for your kitchen! Pineapples are HOT this year! They have been popping up everywhere, so why not in your kitchen! 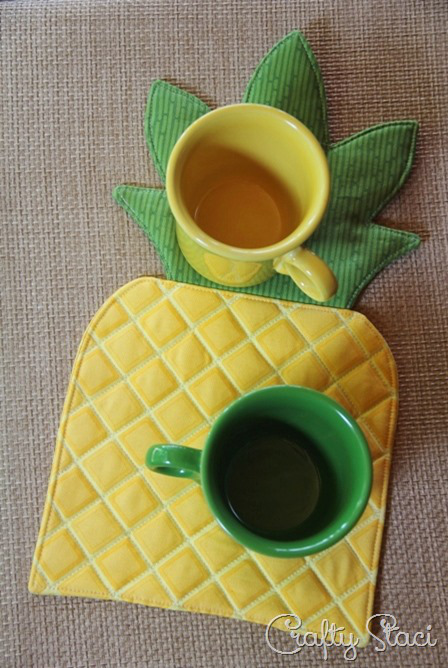 For the July Hot Pad of the Month Crafty Staci created this sweet pineapple tutorial! My family consumes more tortillas than Texas, Arizona and California combined! When we moved to Virginia from San Diego we could not find what we considered good tortillas until WalMart started carrying TortillaLand Uncooked Flour Tortillas. These are the real deal! They are tortilla perfection! 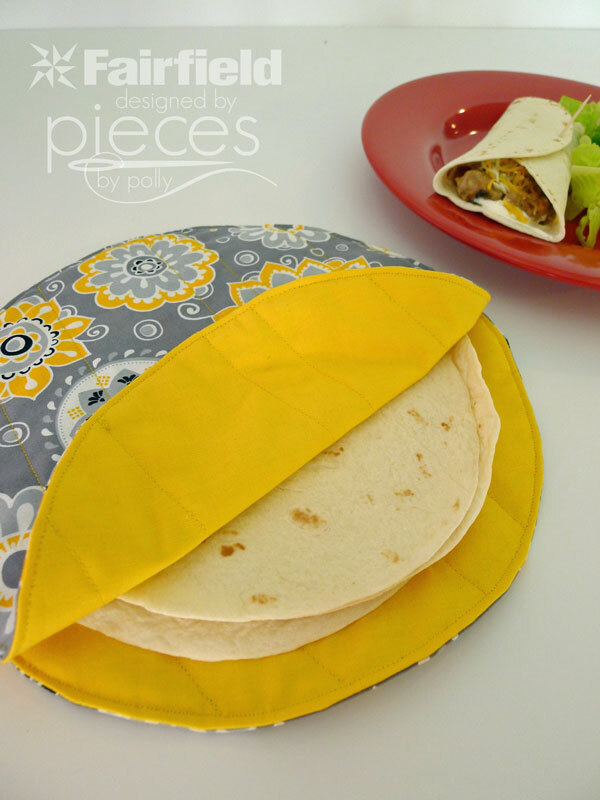 To keep them nice, soft and warm ( the best), a Tortilla Cozy would be amazing! Pieces by Polly has a free tutorial for Fairfield for this very useful item! Burning your hands taking hot bowls from the microwave is not fun! 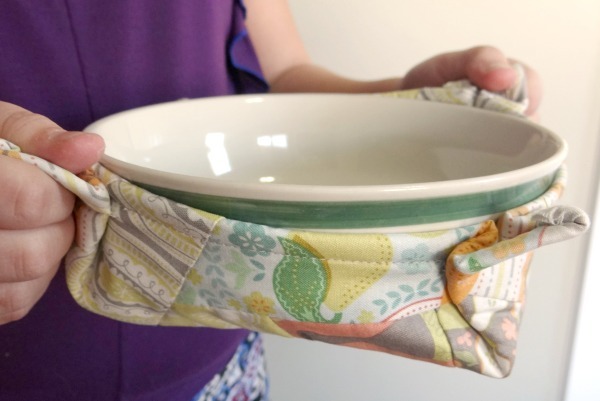 Becky from The Patchwork Posse has the answer and a tutorial for this problem, a Microwave Bowl Potholder! Miss Mary Sewing Classes has an easy tutorial for these cute potholders ( kitchens need a lot of potholders) that can be made in no time at all! I love fast sewing finishes! 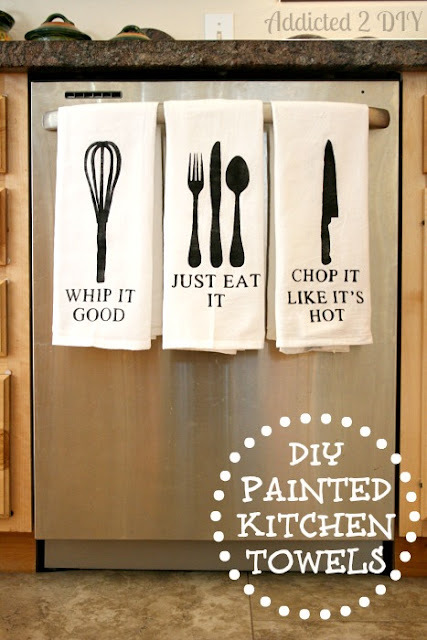 These DIY Painted towels are almost too fabulous to use on spills or to dry dishes! Get the template and the tutorial from Addicted 2 DIY! Summer is also a time for cookouts with friends! 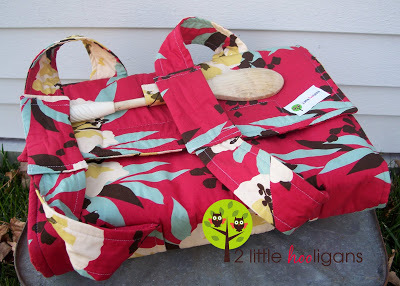 Christina from 2 Little Hooligans has your casserole covered with a free tutorial for a Casserole Carrier! I've been in a dulldrum, and your inspiration hit the spot. I need to finish up a quilt for a fair dealine, but in between(when I get bored with quilting) I will whip up the hexes potholders with scraps. thanks. 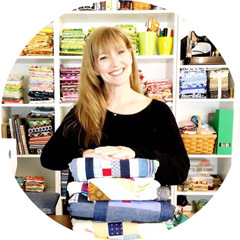 I've been thinking about using up some of my fabric stash on things for the kitchen -- this is a great collection of projects. Thanks, Kim!